Hey everyone, Laserwolf here to tell you about a game that I enjoy playing in Japanese. The design is very similar to Sims. However, since I have never played Sims (seriously) I can’t tell you which I think is better. 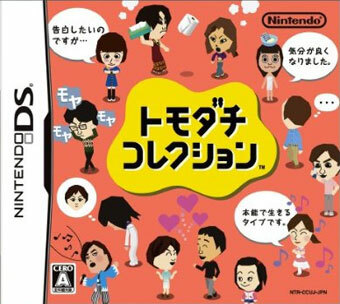 In any case, this game is a good time waster and a fun way to study Japanese. The game is currently not available in English, but since DS systems are region-free, you can play the Japanese game should you be so inclined. I have left detailed explanations of what I consider to be the most important things in the game so anyone studying Japanese should not be too intimidated.